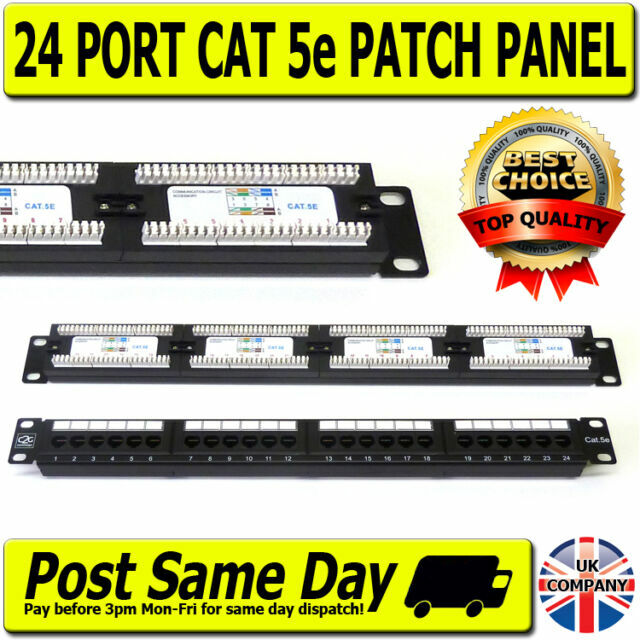 Cat5E RJ45 Patch Panel 24 Port 19” UTP Ethernet Network. The Comlynx Patch Panel range is designed to allow patching of voice, ISDN and high-speed data signals within Cat 5e structured cabling systems. 48 Port Patch Panel Rack Mountable Cat5e Cat 5 Rj45 Hub Network 10/100 for 19"